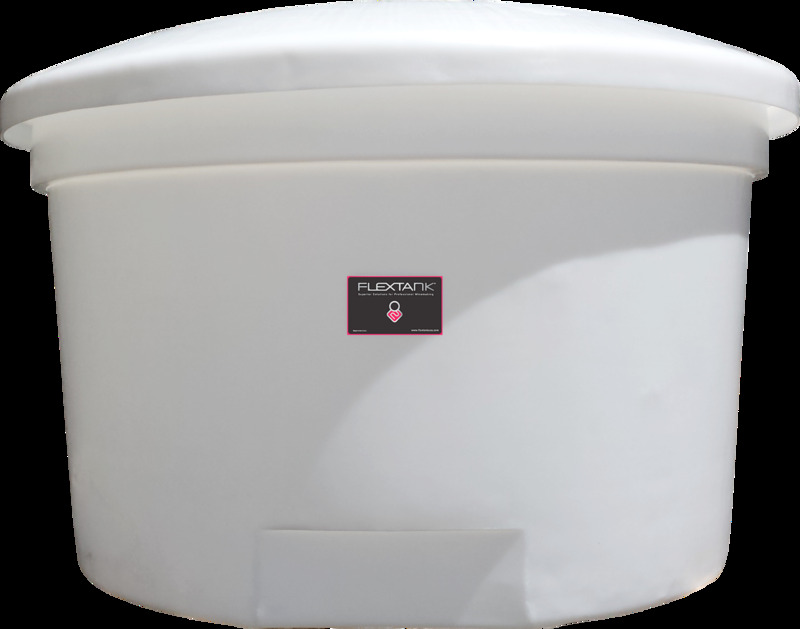 Traditional open top fermenting in a vessel made from modern easy to clean polyethylene material. Principally intended for red ferments, punch down may be achieved manually or with a fork truck mounted plunger. This is a robust vessel and strong enough to accommodate a plank across the top to stand on with a hand plunger-observe safety precautions and do not work alone. The lid fits over the tank on a taper and protects the ferment from fruit flies etc. There is a 2-inch threaded bung at the top center of the lid for additional attachments. Molded in Flats in the bottom of the tank provide for valve fittings and prevent the tanks jamming together when stacked for storage or transport.